1. 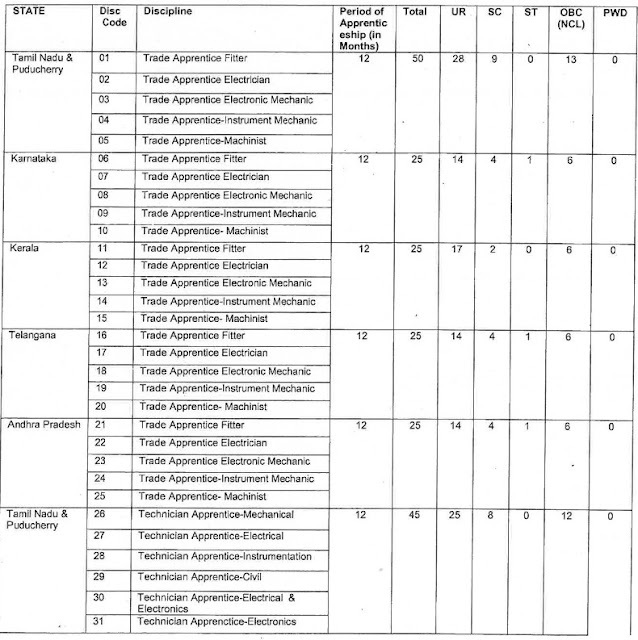 For Discipline Code - 01l06/11/16/21-Trade Apprentice (Fitter) -Matric with 2(Two) year ITI(Fitter) course. 2. 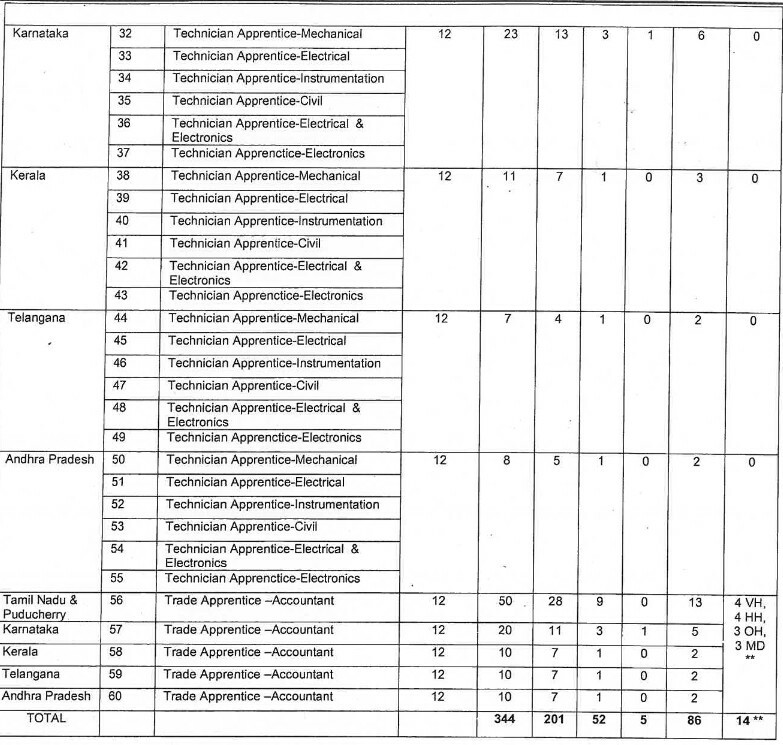 For Discipline Code - 02/07/12117/22- Trade Apprentice (Electrician) -Matric with 2(Two) year ITf (Electrician) course. 12. 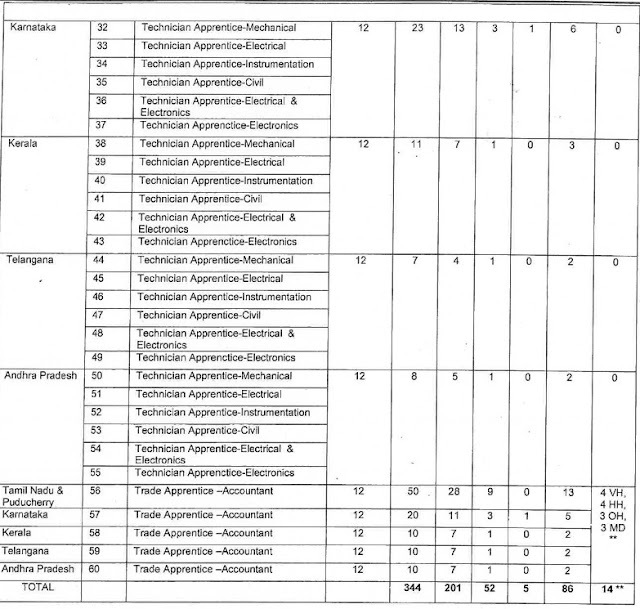 For Discipline Codes- 26 to 55 - Technician Apprentices- 3 years Diploma in Engineering in the relevant discipline from a recognized Institute/University with minimum of50% marks in aggregate for General and OBC and 45% in case of Sc/ST candidates against reserved positions. Stipend: Trade & Technician Apprentice will be paid a consolidated Stipend as per the Apprenticeship Rules with an additional amount of Rs.2800/- towards Stationery, Conveyance & Miscellaneous expenses. Consolidated stipend is subject to the periodic revision in minimum wages as applicable to a particular location.